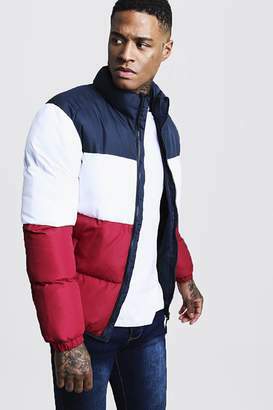 Turn your outerwear into shouterwear with a boohooMAN coat or jacketWeâ€™ll make sure your outerwear is out-there with coats and jackets for every occasion. From classic quilted coats and supersize padded jackets to distressed denim jackets and fur trim parkas, weâ€™ve got your cold weather warmers covered. For lightweight rather than layers, pair a gilet over a printed tee with denim shorts and trainers.